Neo Technology Names Comindware Tracker Winner of 2012 Graphie Award! Neo Technology Names Comindware Tracker Winner of 2012 Graphie Award. Comdindware, Inc. Recognized for ‘Awesome Use’ of Graph Database. [Woburn, Mass.] – Dec 06, 2012 – Comindware, Inc. today announced it has been named a winner in the 2012 Graphie Awards, the first and only program that recognizes innovative graph database applications. Winners were announced at this year’s inaugural GraphConnect 2012 conference, hosted by Neo Technology, creators of Neo4j, the world’s leading graph database. The award punctuates a growing offering that provides collaborative work management software for team task tracking, project execution, and daily workflow automation, with solutions for IT Help Desk, Software Development, Human Resources, Finance & Administration, and Other solutions which one can easily build. It provides real-time visibility while solving email and project management problems and includes a robust Web Services based API to simplify integrations between Comindware and other systems, such as CRM, ERP and EAM, project planning tools, and more. The Graphies are the only awards that recognize and showcase individuals and teams who are developing awesome, innovative graph database applications. From projects based in the United States to Europe to India, entries came from all over the globe in every industry, demonstrating how graph database technology solves challenges related to connected data. The inaugural winning entries include projects from organizations ranging from Fortune 2000 companies, such as Adobe Systems and Cisco Systems, to startups such as Squidoo and Viadeo. “We were blown away by the quality of submissions for this year’s Graphie awards and congratulate Comindware Tracker for its win in the Most Innovative Enterprise Graph Application category. The project represents one of the most outstanding examples of work Neo Technology has seen in the field. It is our hope that the Graphies will spearhead other innovative projects as more organizations realize the pervasiveness of connections within their data, and that graph databases can serve to map and leverage information on those,” said Emil Eifrem, CEO of Neo Technology. The Graphie awards were presented at Neo’s GraphConnect 2012 conference, the first event ever to bring together the rapidly growing global community and ecosystem around graph databases. Among other topics, GraphConnect 2012 considered examples of graph database applications to leverage what a leading analyst firm recently called the ‘five richest big data sources of the Web’: the social graph, intent graph, consumption graph, interest graph, and mobile graph. The Graphie Awards recognize the pervasiveness of graphs everywhere by highlighting innovative graph application projects in five categories, including: open source, website, education, social graph, and enterprise. For a full list of 2012 Graphie Award winners, please visit this link. Comindware is a pioneer in collaborative work management software for teams across the enterprise. Its mission: to help people work together more effectively. 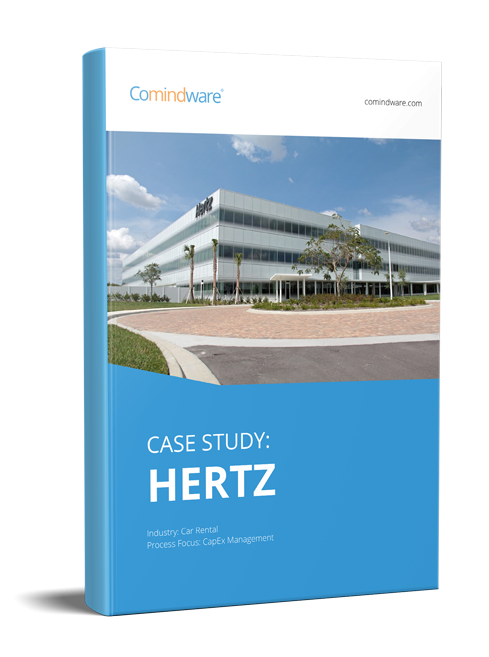 Comindware was founded in 2010 and is led by a team of successful serial entrepreneurs with roots in several industry-leading software companies, including Acronis, Inc., Parallels, Kaspersky Labs, and Embarcadero Technologies. Graphs are everywhere. From websites adding social capabilities to Telco’s providing personalized customer services to innovative bioinformatics research, organizations are adopting graph databases as the best way to model and query connected data. Neo Technology researchers have pioneered graph databases since 2000 and have been instrumental in bringing the power of the social graph to customers such as Adobe, Cisco, and Deutsche Telekom. Now in production for nine years, Neo4j is the world’s leading graph database with the largest ecosystem of partners and tens of thousands of successful deployments worldwide.